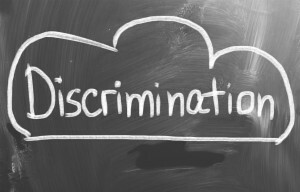 In 1967, President Lyndon B. Johnson signed an historic law into effect prohibiting employment bias on the grounds of age: The Age Discrimination in Employment Act (ADEA). This act gives certain labor protections to workers over age 40. But do you know how this law affects employment at your company? Here is an overview of the ADEA and some key information to know. The ADEA specifies that any time an employer makes a decision about personnel, whether hiring, determining pay, firing, or considering position changes, it cannot factor age into the final decision. Decision makers are not allowed to establish preferred ages in any step of the hiring process. It’s important to note asking for a candidate’s birth date on an application however, is not illegal. Congress found older citizens are at a disadvantage in the job market after losing a long-time job. The Act is meant to give workers a boost after age 40, allowing them more work opportunities. The ADEA additionally prevents terminations or layoffs based on age as the displacement of older workers. The ADEA applies to employment agencies, every business with more than 20 workers, federal positions, and many labor organizations. It doesn’t protect elected officials, those in the military, and workers who are self- employed, such as independent contractors. The Age Discrimination Act helps prevent unfair labor treatment of workers over age 40. If you have any questions on how the ADEA impacts the employment initiatives at your company, Structure Law Group’s experienced attorneys would be happy to help. Contact us today at 408-441-7500.